BRK.B – Warren Buffett says it’s “very hard” to offer a premium for food companies. Berkshire Hathaway Inc. (NYSE:BRK.B) founder Warren Buffett appeared on television Thursday and talked down any hopes for his company making a big-money bid for Campbell Soup. Warren Buffett said Thursday it is “very hard” to offer a premium for a packaged food company, tempering speculation Kraft Heinz may make a play for Campbell Soup. 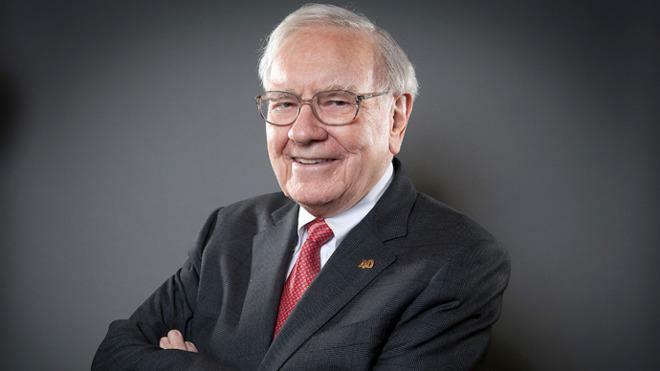 Buffett made his comments in an interview with CNBC’s Becky Quick, ahead of his lunch at Smith & Wollensky steakhouse in New York with the winning bidder of the annual Glide auction. Buffett also turned 88 on Thursday. Berkshire, of course, is a co-owner of Kraft Heinz, which has long been rumored as a potential suitor to buy Campbell. That company announced recently that it would sell some business units in order to raise cash. Both firms are struggling to find growth amid a changing food landscape. Modern consumers are moving away from larger, more established brands, in favor of natural and healthier foods offered by upstart makers of products like vegan mayonnaise and no-sugar ketchup. Berkshire Hathaway Inc. shares were unchanged in premarket trading Friday. Year-to-date, BRK.B has gained 5.82%, versus a 9.71% rise in the benchmark S&P 500 index during the same period. BRK.B currently has a StockNews.com POWR Rating of A (Strong Buy), and is ranked #2 of 57 stocks in the Insurance – Property & Casualty category. '); } $(tr.join('')).appendTo($('table#news-stream tbody')).slideDown("slow"); }); } symbol_get_snippets('BRK.B'); }); Page generated in 1.3467 seconds.